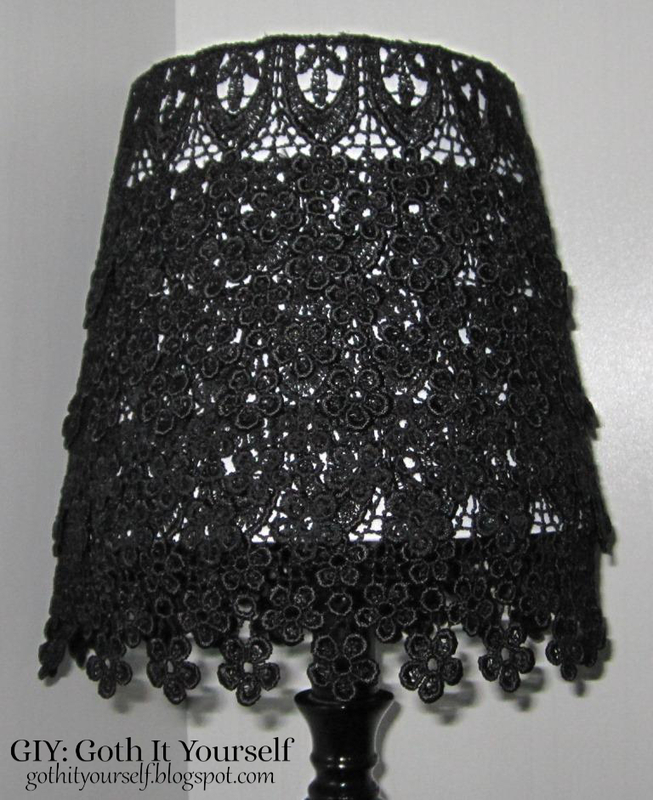 On June 7, I embellished a lampshade with venise lace. 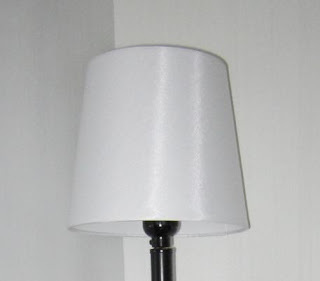 I began with a plain white lampshade. I can't quite decide if I like it. What do you think? What a good idea, I love the combination of the venice lace with the flowers on the tissue box! I'd run some sort of black trim ribbon around the top or something. Maybe. Or add little embellishments to make the last bit have the same visual weight as the lower tiers. Appliqués, little beaded thingies, something. I think it's a little heavy on lace at the middle but I love the concept, well done! I LOVE it! Maybe three rows of lace would have done as well without making it darker in the center, but it's lovely the way it is! Thank you. Yes, I think three rows might have been the way to go. 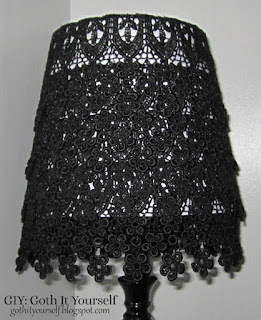 I made similar lamp shades in my teens, only I covered it with yardage lace instead of trim... I did trim it with little black pom poms, though. 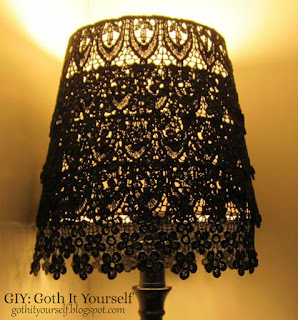 They were tacky, hehe... but somehow they worked in my boho-goth room at my momma's house. Honestly, I like the look of the venise lace trim in that many layers-- maybe at a row of spikes or studs to the top edge to create that balance you're looking for? I don't think it needs much more; definitely not less... heh. What a great idea! It looks stunning and matches perfectly with the tissue box. I really like how easily you've changed a boring lamp into something that fits your style. I tried to make something almost exactly like that, but it came out looking nothing like this. WIll have to go home and fix it right now.